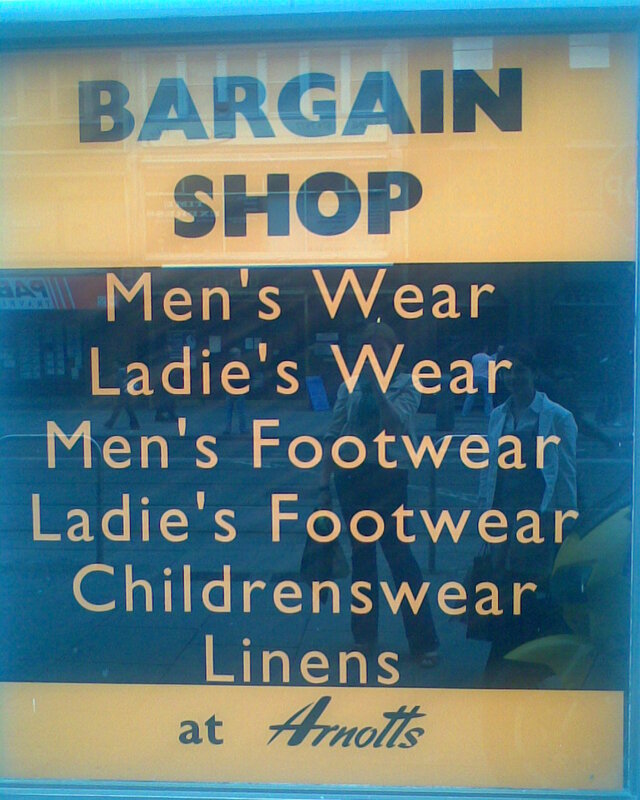 …as seen in the window of one of Ireland’s biggest department stores. Bonus points for inconsistency! I have to agree…the Ladie’s just tops it off. I especially like the “ladie’s”. Solid gold. Wow! Extra bonus points for the spelling errors. Ah please tell me that’s not real. I have to go down there today now just to see it for myself.